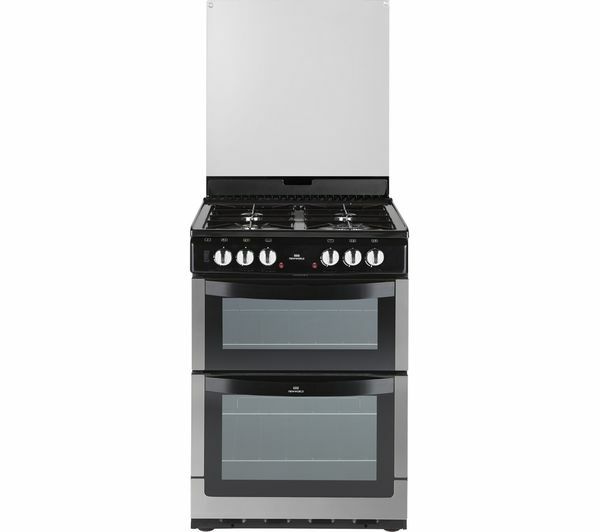 Sophisticated and spacious take a look at the New World 60-1DFDOL Dual Fuel Cooker. The New World 601DFDO-L guarantees excellent room for your cooking whether it is a hearty meal for the whole family or a quick snack. 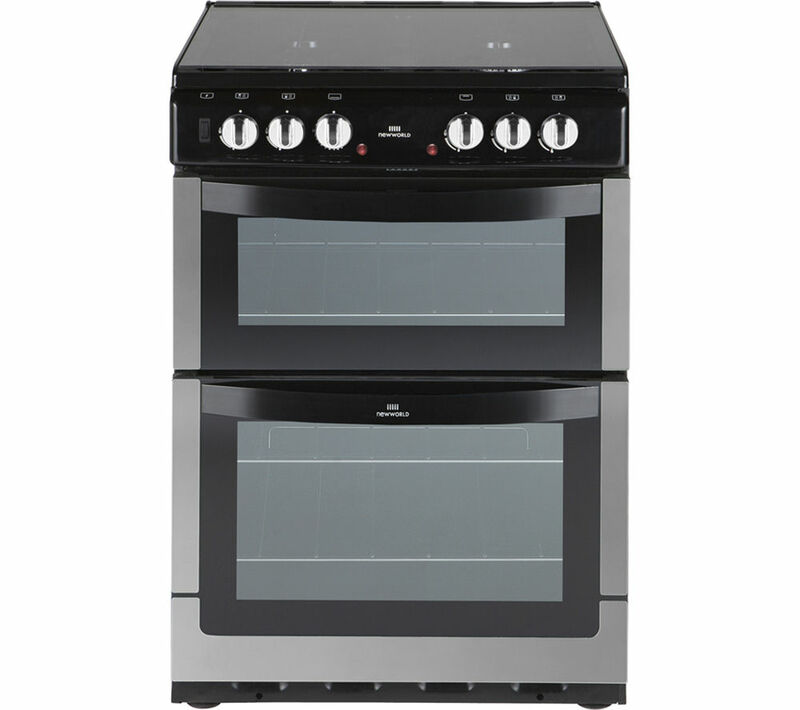 The conventional main oven offers excellent consistency when cooking and the roomy secondary oven contains an integrated variable grill, adding functionality to your meals. 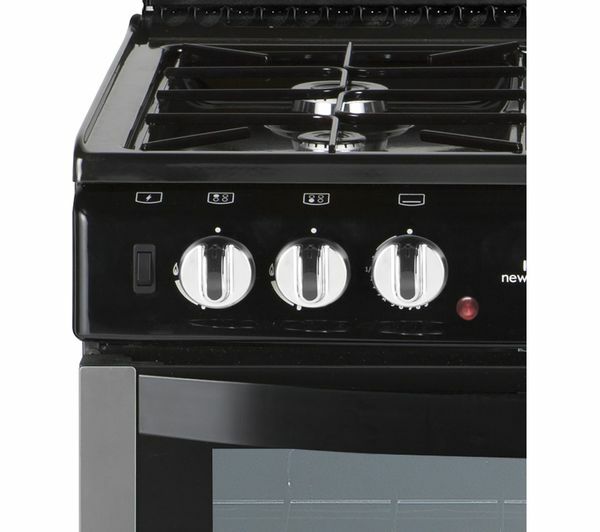 Boasting four gas hobs, this dual-fuel New World 601D-FDOL Cooker has enamel pan support for suitable home cooking. Take control of the flames via the dial controls and ignite the hob via the push-button for instant cooking. The flame safety device ensures that the gas supply is stopped if the flame is extinguished, helping to keep you and your family safe. When the lid is down this will also automatically cut off the gas supply for safe home cooking too. This cooker offers that little bit of wow factor in your kitchen too, exerting class with its modern stainless steel design. 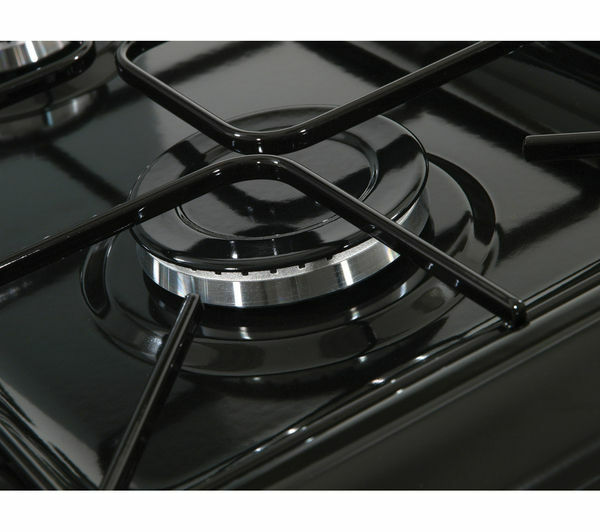 The glass hob lid acts as a splashback, protecting your wall when you're cooking. The lid also provides an excellent solution for an extra work surface when put down as you get the most out of your kitchen space. Keep track of your cooking in the oven via the interior light and enjoy effortless cleaning thanks to the easy clean enamel liners for a pristine cooker! 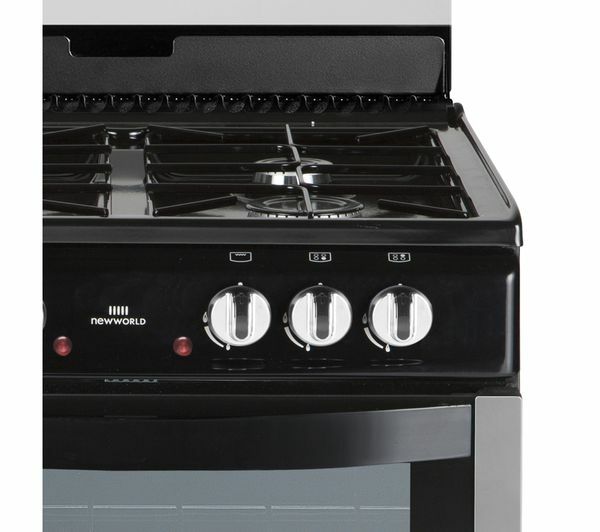 When it comes to home cooking, get the best of both worlds with the New World 601-FDOL Gas Cooker. Very easy to use and very easy to clean. safety shut off of gas supply ticked the box for us as we have Grandchildren and that my partner has no sense of smell.